Once again, Ghana has taken a bold step towards resolving its socio-economic problems through avenues that can hardly be found in any textbook. Just a year after introducing the Free Senior High School policy, and barely two months after announcing the innovative double-track system, government on Thursday successfully lunched the maiden version of the Nation Builders Corps (NaBCo) programme, where some 100,000 unemployed graduates were trained and posted on a three-year package, designed to assist the public sector delivery needs of the country. The scheme, in addition to creating employment avenues and opportunities for young people who hold diplomas or degrees from accredited tertiary institutions, hopes to engage the raw talents of graduates and equip them with skills, through what government says is ‘a process of value-addition and training’. President Akufo-Addo, in a speech at the Independence Square to mark the official take-off of the scheme, disclosed that the trainees would be deployed in seven critical aspects of the economy, i.e. education, revenue mobilization, agriculture, health, governance, digitisation and the private sector. He said they would “assist in the realisation of Government’s vision of an educated population, an industrialised, robust and well-managed economy, the delivery of good governance, and, for the sustenance of all these, a reliable, skilled and efficient workforce”. The President further disclosed that for every four weeks of work, one week would be dedicated to acquiring soft, future employability, and work-readiness skills; meaning that by the end of the third year, they would have obtained 36 weeks of training to enable them transition smoothly into the world of permanent work. 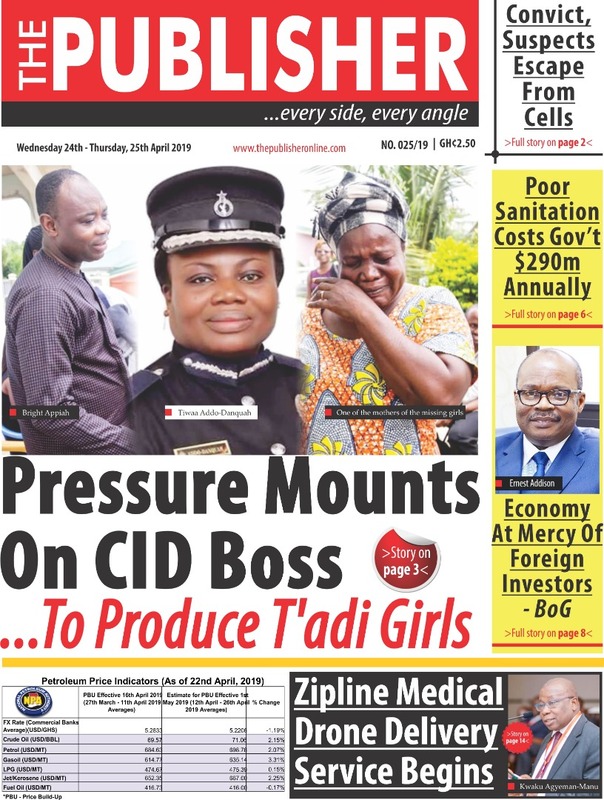 Though currently a stopgap measure, THE PUBLISHER is enthused about the NaBCo vision, which is tailored to allow graduates from tertiary institutions, who had completed their mandatory year of National Service, gain vital work experience while ensuring that they continue to practice the skills they had learnt. The paper finds it heart-warming to note further that, ahead of the take-off, the managers of the programme were in partnership with the Council for Technical, Vocational and Educational Training (COTVET), and some universities, both domestic and foreign, for the validation of the content of the learning programmes, so that the trainees could receive appropriate certification of their skills and training before their deployment. While we agree that when dealing with a population of about 30 million people, it is impossible to please everyone at the same time, regardless of how good the offer is, we vehemently disagree with those who always look at issues through the narrow scope of partisan politics, and try to highlight the challenges that come with a lofty idea as NaBCo. Indeed, taking into consideration the standard of living in Ghana, GH¢700 may not be an ideal salary for a graduate, but fact is that the programme stands the chance of enhancing the dignity and self-esteem of the graduates at the end of the day. Like the President, we would like to admonish the NaBCo trainees to be dutiful and productive in the areas they have been assigned, so that the GH¢3 billion of taxpayer’s money that Government invested into the programme would not go down the drain. They should not give ammunition to the pessimists and modern-day Jeremiahs, who demonstrated no belief in the success of the scheme, to come came back later and say “we told you so”.